The total measurement of cholesterol. Goal – <200 mg/dL. However, it is a worthless test. There is no correlation with total cholesterol and cardiovascular disease. 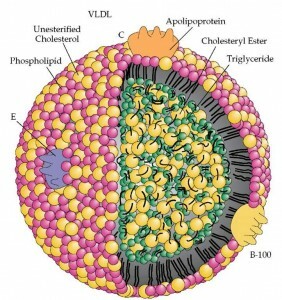 Low-Density Lipoprotein (LDL) is composed of phospholipids, triglycerides, cholesterol, and a Apolipoprotein B (ApoB). There is a 2-3x increased risk of cardiovascular disease when LDL-c, ApoB, and LDL-P are all 3 elevated. Goal – <70 mg/dL if there are other risk factors for heart disease or diabetes. Notice that this is a measurement of weight. It is measured in mg per dL. It does not tell us the size of the LDL particle or the number of LDL particles. What to do to improve it – The first intervention is to improve overall health through the ‘Healthy Trinity’. Consider this study in Circulation discussing the effects of inflammation and cholesterol on ischemic heart disease. It has been shown that levels of HDL-c above 60 correlate with decreased risk of cardiovascular disease. According to the ATP III, an HDL above 60 reduces one of the other risks of cardiovascular disease. Conversely, low levels of HDL are associated with an increased risk of cardiovascular disease and events. It is also important to look at the levels of HDL2 and Apolipoprotein A-1. When these are low it suggests that the HDL that is present may not be in its most protective form. What to do to improve it – exercise, niacin. HDL2 may be increased by taking Omega-3 fatty acids. Triglycerides are free fatty acids connected to a glycerol ‘backbone’. They are the fatty acids circulating in our blood. When the TGs are elevated it suggests a metabolic disorder. This is not a deficiency of Gemfibrozil (a medication for TGs). The solution for elevated triglycerides is to fix the metabolic derangement that is the source of the elevated levels. Most research has been performed in fasting patients so the general recommendation is to check TG levels in the fasting state. However, there is a growing body of evidence which suggests that TG levels should be checked in non-fasting state and elevated non-fasting TGs are better correlated with risk for cardiovascular disease. Markedly increased triglycerides can be caused by poor blood sugar control, thyroid disease, alcohol intake, and drug interactions among other potential causes. Goal – 150 mg/dL. Levels < 90 mg/dL correlate with control of insulin resistance and improved cardiovascular outcomes. 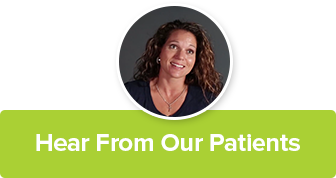 What to do to improve it – the first step is to ensure normal glucose control. The other recommendation is good intake of Omega-3’s. Non-HDL-c is simply calculated from subtracting HDL from Total Cholesterol. It is everything except the HDL. Non-HDL-c is suggested to be better correlated with cardiovascular disease. In other words, it seems to be a better risk predictor. 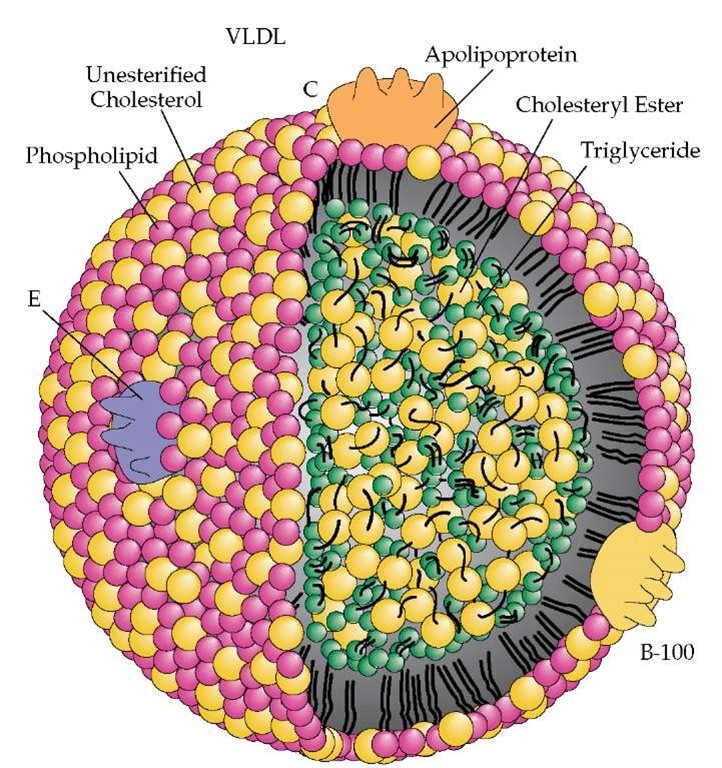 ApoB is the protein attached to the LDL molecule. It is the scientifically accepted measurement of atherogenic particle number. ApoB traverses in the blood in a 1:1 ratio with chylomicrons, VLDL, IDL, LDL and Lp(a). Several studies identified elevated ApoB concentrations to be highly predictive of cardiovascular events. Most studies have found ApoB to be a more reliable indicator of cardiovascular event risk than LDL-C. This is the actual number of particles of LDL measured in the sample. It is determined by NMR (Nuclear Magnetic Resonance). Studies have shown that elevated LDL particle concentration is associated with increased risk for coronary heart disease, even in the presence of optimal LDL cholesterol values. Small LDL particles may be observed in association with the metabolic syndrome and pre-diabetes. Statins, while they can lower the number of LDL particles, do not change the size of the LDL particles. sdLDL is commonly present in insulin resistant patients. The small size of LDL particles enhances endothelial penetration and accelerates atherosclerosis and lipoprotein oxidation. It is associated with a 3x increased risk of MI & stroke. What to do to improve it – Focus on the ‘Healthy Trinity’ and specifically blood sugar control. We recommend Wheat Belly by Dr William Davis for more information on this topic. Smoking cessation, exercise, dietary restrictions, weight loss (as appropriate), and moderate alcohol intake can impact sdLDL as well. This tells us how much of the LDL-c is composed of sdLDL. It is mathematically derived. ApoA-1 is the protein associated with the HDL molecule. It corresponds with the ApoB on the LDL molecule. Low levels suggest low cholesterol clearance. When ApoA1 is low there is a 3x increased risk of MI & stroke. Total HDL particle decrease has been associated with increased risk for cardiovascular disease. HDL particle concentration may be increased with exercise, fish oil, niacin, fibric acids, or moderate consumption of alcohol. HDL2 is the largest of the HDL molecules and is the one responsible for the majority of the Reverse Cholesterol Transport. It seems to indicate greater protection and may be a marker for plaque regression. It is thought to have anti-oxidant properties. When HDL2-C is low it suggests a 2-3x increased risk of CVD. Recently large case control studies have demonstrated that the Apo B:Apo A-I ratio is superior to cholesterol measures and cholesterol ratios for predicting risk for myocardial infarction. In the Interheart study, comparing 12,461 myocardial infarction cases to 14,637 age and gender matched controls in 52 countries, the Apo B:Apo A-I ratio was vastly superior to any of the cholesterol parameters measured including the LDL cholesterol: HDL cholesterol ratio and the total cholesterol to HDL cholesterol ratio in all ethnic groups, in both sexes, and at all ages. Decreasing the Apo B:Apo A-I ratio can be achieved by lowering Apo B and/or by increasing Apo A-I. What to do to improve it – focus on the ‘Health Trinity’ as primary intervention. Niacin and fibrin acids have also been demonstrated to increase ApoA1. This is an LDL particle containing an abnormal protein. It is an inherited abnormality and elevated levels are associated with an increased risk of developing coronary artery disease. Its structure is similar to plasminogen and it competes with plasminogen for receptor sites which causes reduced fibrinolysis and increased hypercoagulability. When Lp(a) mass is > 30 mg/dL we reflexively measure the Lp(a) cholesterol. This helps eliminate false positives that result from the Lp(a) mass immunoassay. Such false positives are due to over-estimation of large species with high numbers of kringle repeats. Lp(a) elevation suggests a 3-5x increased risk of CVD.